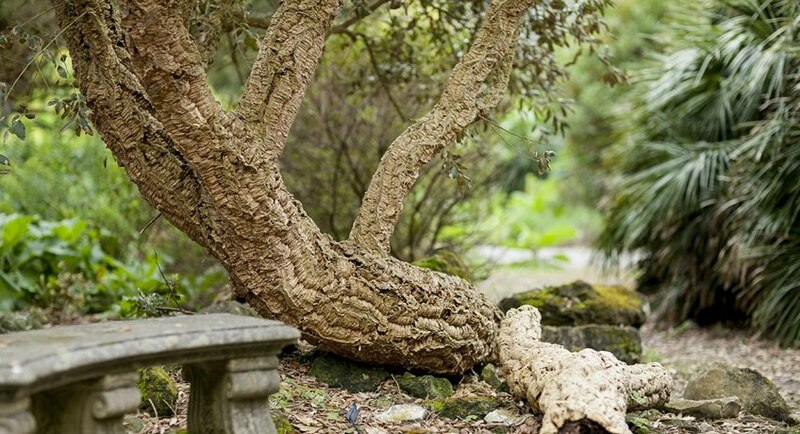 If you want to be immersed in greenery, see plants from all over the world and be amazed by the number of them then Ventnor Botanic Garden (VBG) is the place to go. From the tropical to the traditional, VBG is blooming lovely, especially in the spring and summer months. Save 15% off car ferry travel with admission tickets when booking together as a package deal. Step 1: Add your attraction tickets to the basket below (minimum of 1 x family/group or 2 x adult/senior tickets). Step 2: Click here to book the ferry (the ferry discount will be shown on the checkout page). The huge (over 2m) purple/blue and even pink flower spikes of Echiums making millions of flowers in May and June; the majestic Victorian palms and lush tree ferns ; or the pretty borders and secret arbours; you will love VBG. Sheltered beneath the chalk downs, it lies in the microclimate of the ‘Undercliff’, sheltered from the cold northerly winds. Because of this mild climate Mediterranean plants thrive, such as a grove of olive trees from which the garden make their own olives and the hops that are used to make Botanic Ale. Subtropical plants such as the South American (Sheep Eating) Puya send huge thorny flower spikes, dripping with blue, green, yellow or white blooms, soaring into the air. Try a brand new Eucalyptus Lager which is creating a great botanical range between the original ale, pale ale and eucalyptus lager also newly on offer is Eucalyptus sea salt. 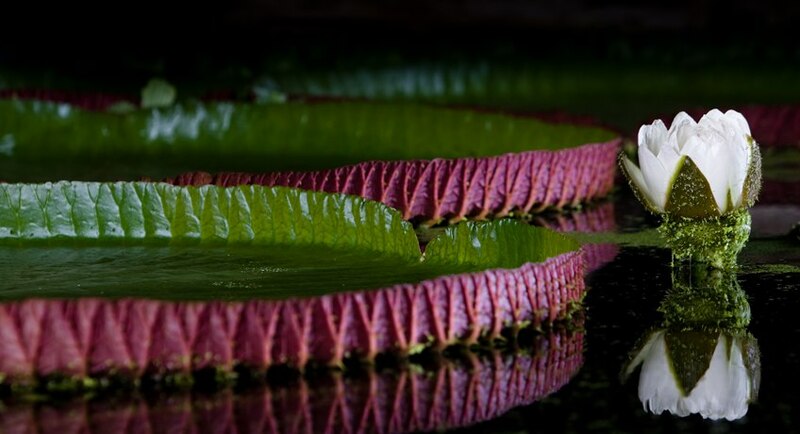 Get hot and sticky in the Temperate House and see the amazing large leafed waterlily that only blooms at night. Take a guided walk down the spooky old service tunnel that ran from the sea to the garden, or visit the dark, damp mushroom fruiting chambers beneath the garden. The Plantation Café has yummy cakes, lite bites with ingredients from the garden such as their mushrooms, herbs and salads and home-made pickles and chutneys. The Edulis Restaurant spills out into the garden, with tables amongst those Echiums, where you can take tea, lunch or just a coffee. Buy any of the plants you see from the VBG shop or buy their seeds to grow your own. And don’t forget to check out their lovely range of branded goods and local arts and crafts. 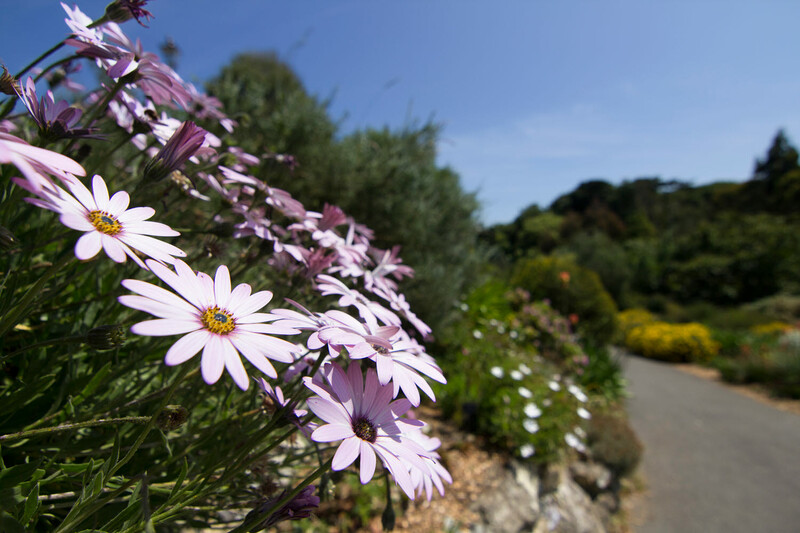 Tended by a host of volunteers along with the team of gardeners under Head Gardener Chris Kidd, and supported by an army of over 800 'friends', Ventnor Botanic Garden is a verdant riot of plants from all over the globe. 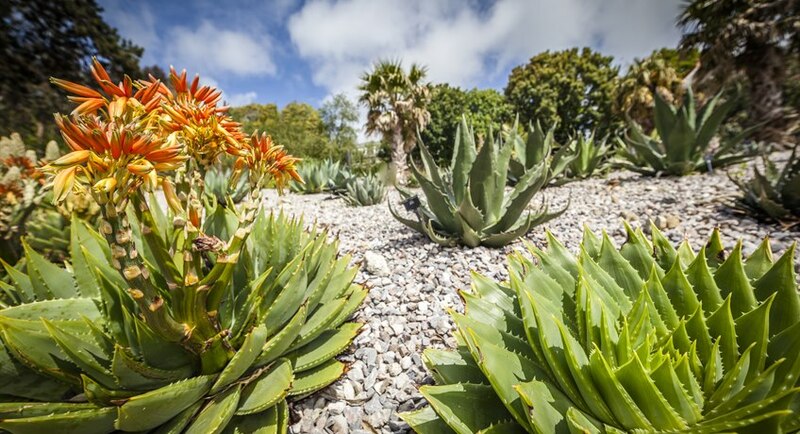 In summer the Pula plants put on an especially good show with their enormous flower spikes – mostly to be seen in the Westgate Arid Garden that was opened by HRH Prince Charles and the Duchess of Cornwall in 2009. 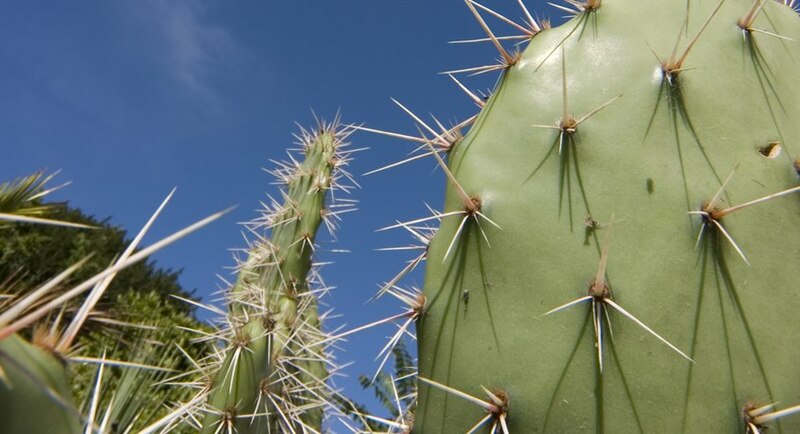 Some of these flower spikes grow over ten feet tall and have emerald green and paler green flowers in between the spikey bracts. 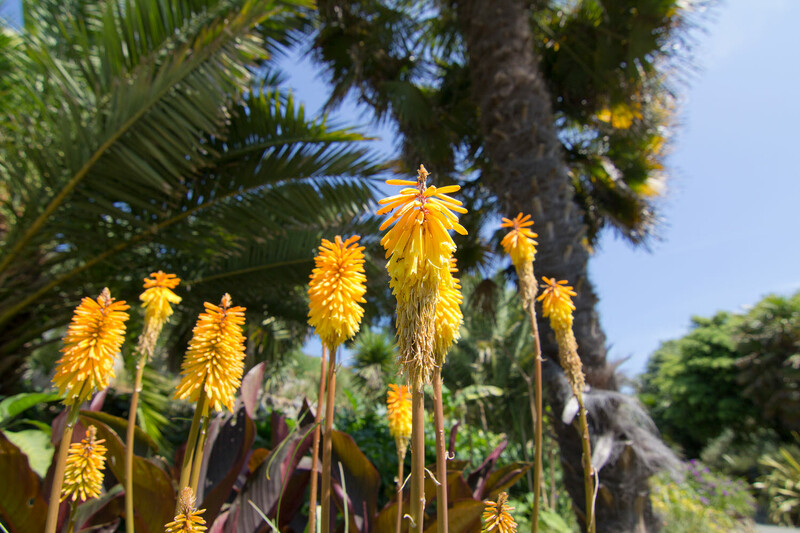 Head Gardener Chris Kidd said "It's a bromeliad in the pineapple family and it will flower well into August." Also in the arid garden are Aloe Polyphylla, a rare and endangered red databook plant, and these too are in flower in summer. Look for their geometric leaf structures and orange flower spikes. 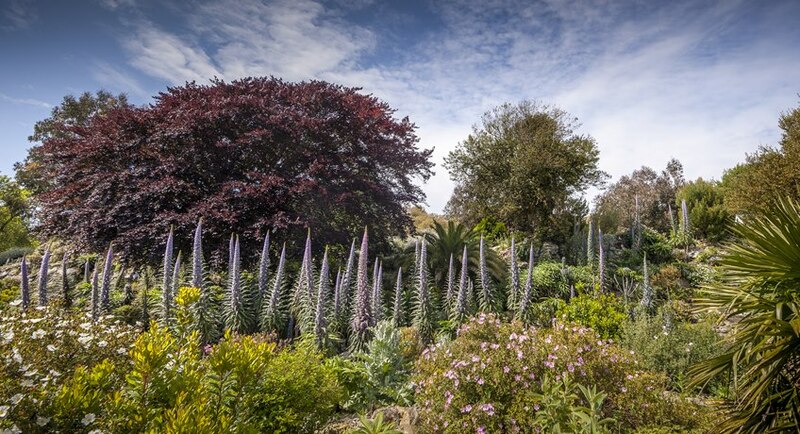 But it is the Echiums, for which Ventnor Botanic Garden is particularly famous. 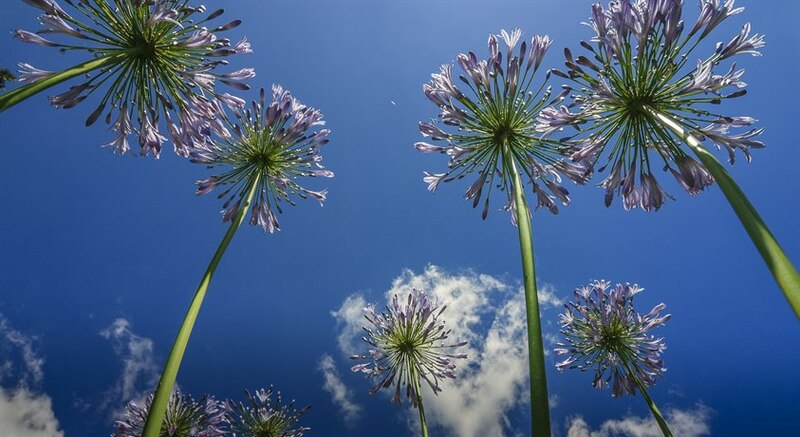 The Mediterranean Garden is absolutely full of their enormous purple, and sometimes pink and blue flower spears that thrust up to forty feet in the air. 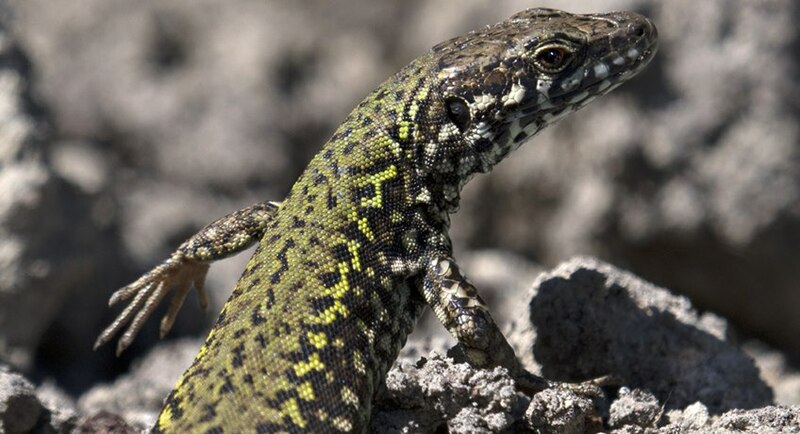 "These were introduced to the garden in 1988 from Tenerife and have naturalised ever since," said Chris. You can see smaller versions of the plants in the gardens at the small nursery around the Temperate House or at the shop. 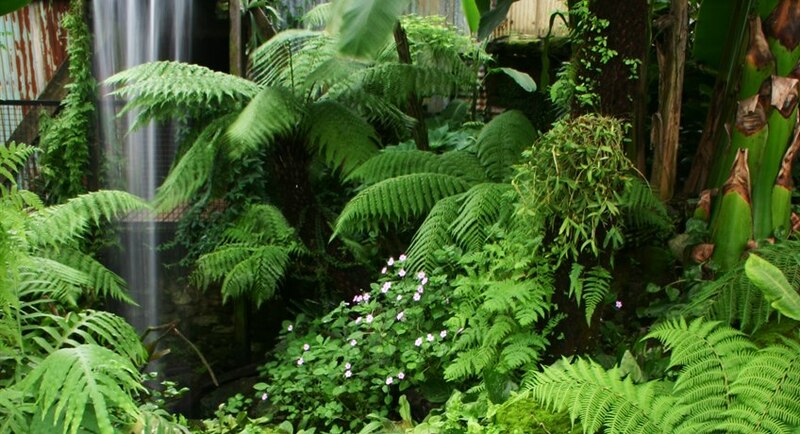 Make sure you also pay a visit to the Temperate glass house as it has a unique deserted mine shaft installation and is full of plants that love its humid, hot environment. Just below here is the olive grove that has been planted over recent years in a program with a Sicilian nursery - one of the trees is thought to be at least 750 years old. Stairs from the visitor centre descend to the pretty pond terrace, although there is also a lift within the building. On the ground floor of the building is the lovely Edulis Restaurant, while at the top of the visitor centre is The Plantation Cafe is the perfect place for a barista coffee or loose leaf tea and slice of cake. To the east of the pond terrace is the Palm Court: a survivor from the hospital gardens that has at its centre a palm planted by Queen Victoria. Next as you walk eastwards is the New Zealand Garden, which is frequently used for outdoor theatre and functions in the summer months. The Hydrangea Dell leads east from here and is a sight to behold in late summer. Tree ferns and the scent of eucalyptus now herald the Australian woodland and scrub bush area that was the brainchild of Chris Kidd and a stunning example of what can be created with a creative imagination. An old coach was buried to produce the high bank that is now planted with 17 different varieties of eucalyptus and below sunken pathways, wooden bridges and ropes give the illusion of a deserted mine. 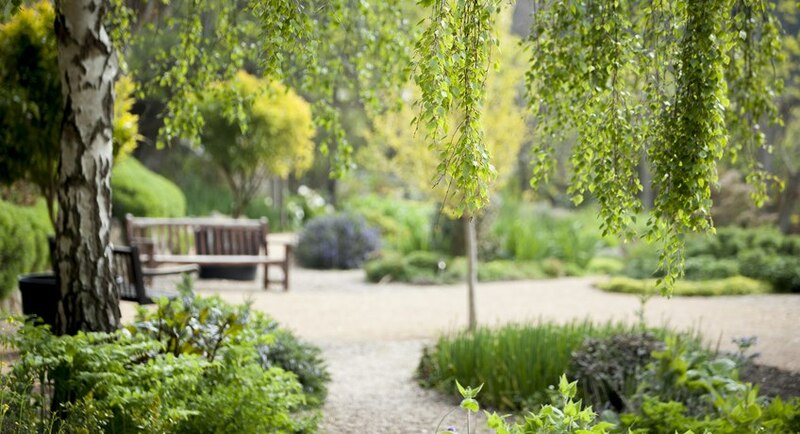 There is far more to explore than the areas described here: the Japanese gardens, the beautiful borders and semi walled gardens, the vast collection of trees around the grassed park and even the hop garden that is picked to produce Tropic Ale by Yates Brewery. Make sure you don't miss it. The discounted ferry crossings are only available whilst the individual attraction is open during 2019. 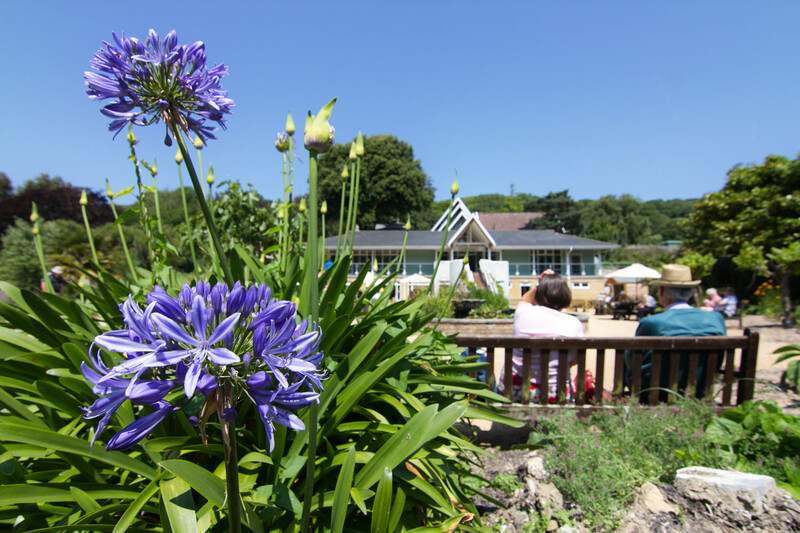 15% ferry discount available when booked alongside Ventnor Botanic Gardens tickets. To obtain the ferry discount a minimum of either a family ticket or 2 x adults or 2 x seniors must be purchased. Additional tickets may be added to your shopping basket. Valid for return vehicle travel from Southampton. Valid for up to 7 people in a car or small van up to 5.5m length/2m height. Subject to availability. New bookings only. Not available in conjunction with any other offer or discount. Please check opening dates and times before booking.